A part of Crushing Krisis’s Crushing Comics. Last updated April 2017. This reading order encompasses all of the core Avengers team titles and accompanying events that occurred during Brian Bendis’s tenure writing The Avengers. That began with Avengers #500 in 2004 and ran through the end of the 2010 volumes of Avengers and New Avengers (as well as Avengers vs. X-Men) at the end of 2012. Technically, this is a “trade reading order” because it orders the stories largely in accordance to how they were originally collected for trade paperback and premiere hardcover. However, the idea of “trade reading order” doesn’t have too much meaning at this point, since most of this material has been collected in at least one additional format, plus many fans are now reading digitally! So, why not just give you the issue-by-issue order? When it comes down to it, I not only want to help you read comics, I want to help you enjoy reading comics. Outside of a direct crossover, reading a stack of shuffled single issues from multiple titles isn’t generally a rewarding read – even when many of the issues are coordinated by the same writer. This reading order guide takes advantage of the natural breaks in stories created by Marvel’s collected editions wherever possible so you can read in bigger chunks. This means you can read without switching titles mid-book, mid-story, or even mid-issue. To learn how to purchase these issues in various collected editions, visit the page links below for each title. Individual runs are also linked to their home guide elsewhere on Crushing Comics. Note that while I include the Avengers-in-training titles Young Avengers, Avengers: The Initiative, and Avengers Academy in this reading order, none were written or concepted by Brian Bendis and they are not generally strongly integrated into the central stories of his Avengers. You can easily skip these titles in your Avengers read, if you prefer. And, finally, for a behind-the-scenes look at the birth of this guide, read my announcement blog post. Why? Bendis’s big debut on Avengers was less about his own plots and more about bringing current plots (and team members) to their end. If you have no existing knowledge about The Avengers, you will be more than a little lost! However, this story does cue up some plot threads for House of M and other happenings in Bendis’s run, so could be worth reading if you’re planning to consume the entire thing. Why? Secret War represents a sort of lost chapter inserted between Disassembled and the reassembly of the team in New Avengers. It’s not essential reading, since it’s not referenced too-heavily later except to emphasize everyone’s distrust of Nick Fury. Why? This is the essential starting point for Bendis’s run on Avengers. You need no background whatsoever to pick it up. Why? While parts of #1 nominally begin after NA #2, most of it occurs after NA #6. This is not written by Bendis, but it deals with the immediate ramifications of the first New Avengers arc, which aren’t covered elsewhere. Why? This book is a sideline to the main Avengers action and doesn’t factor in too heavily to Bendis’s plots. However, it is one of the few appearance of Jessica Jones that’s not under his pen, and it has her interacting with Captain America. Why? This occurs entirely between NA #10-11. This event is written by Bendis and is a closing parenthesis on some plot threads left open since Disassembled. 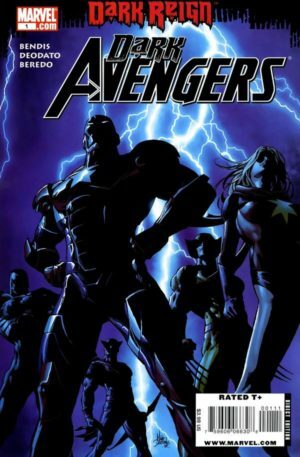 While it has much more effect on X-Men than Avengers, it does introduce a few key Avengers plot points – the largest of which is the return of Carol Danvers as Ms. Marvel. Why? A one-shot introducing the Illuminati, which is tacitly part of the Road to Civil War, though it’s more important in the next period. This has been collected with re-collections of New Avengers. Why? This issue is the wedding of Luke Cage and Jessica Jones; it was not collected in any of the original New Avengers collections although it is in the second Deluxe Hardcover and Omnibus. Instead, it is generally collected with The Pulse. Why? Reading this here will only spoil Civil War through issue #5. You can read Civil War first, if you prefer. Why? Bendis covers the major ramifications of Civil War for his team pretty well in New Avengers, so it isn’t absolutely necessary to read this series – which fans have a love/hate relationship with due to some out-of-character moments. Here New Avengers becomes the “unregistered” team of rebel avengers, prominently featuring Ronin (AKA Hawkeye), Luke Cage, Spider-Woman, Wolverine, and Spider-Man. Other team members are featured in Mighty Avengers (also written by Bendis in this era) and Avengers: The Initiative, which both start here. This results in quite the impenetrable continuity tangle, which can make reading order tricky. Why? This mostly occurs prior to the launch of present day action in Mighty Avengers, and entirely by the end of MA #2. Why? Bendis kicks off a more classic-feeling Avengers team anchored by Iron Man and Ms. Marvel that also features classic narrative devices, like narration boxes and thought bubbles. Why? NA #35-36 and MA #8 cross over with each other heavily, so it’s better to read all of these issues first and then move onto the following MA arc. You can read New Avengers #38-39 from the next era here, as they almost directly follow Avengers Annual 2 and precede Avengers/Invaders in its entirety. If you do that, you might as well also continuing reading Mighty Avengers with #12-13. Why? This is a tricky one, but it starts at least after MA 11 (if not 13) and from Spider-Man’s chronology we know in finishes around the same time as Avengers/Invaders starts. Why? This ends prior to Secret Invasion and, it seems, prior to the end of Avengers/Invaders. Why? This is not written by Bendis and does not have any significant ramifications. It’s a chance to see more of the teams of this era prior to them being shaken up by Secret Invasion. 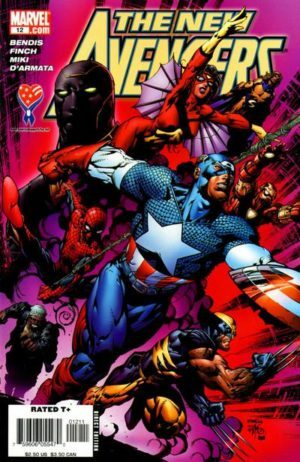 The series occurs after MA 11 and is largely about the cast of Mighty Avengers. Why? This series unravels a secret history of the Marvel Universe as guided by Iron Man, Mr. Fantastic, Professor Xavier, Black Panther, Namor, and Black Bolt. This retcon has been widely adopted and helps to set up Secret Invasion. Why? Issues #12-13 occur much earlier than the rest (as noted above in Era #3), but elements of this arc occur prior to elements of New Avengers #42. Since the New Avengers stories in the Secret Invasion period don’t star many actual Avengers, it doesn’t create too much conflict to finish this chunk first. Why? #38-39 fit best above in Era #3, but the remainder of this book is all flashback set-up of Secret Invasion. Issue #43 occurs after SI #1-2, so won’t be a major spoiler for the event. You could read Mighty Avengers #16-18 here, but I think it’s more enjoyable as part of a bigger chunk, below. Why? 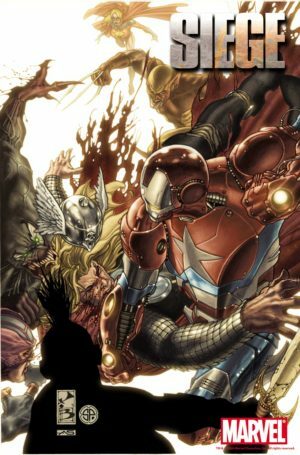 These issues all present Secret Invasion backstory and will not spoil the event, except for the final two pages of #47, which only in the vaguest sense spoils SI by showing a handful of heroes standing around after its finale. Why? This is written by Bendis and includes a lot of plot action for both teams that you don’t see in their main books and which rewards the background stories he tells there. Why? Similar to New Avengers, reading through issue #18 this will only spoil SI #1-2. However, #19 is a standalone story that relates to material from midway through the event, and #20 heavily spoils two of the big character changes from the event. Also, the backstory presented in the early part of this run is less historical set-up for the event and more like specific motivations explaining some key character actions – thus, I’d read it afterwards. Why? These issues feature the Initiative beating back of the Invasion straight through to #19, which occurs at the same time as the final fight in SI #8. That puts this resolution nominally ahead of the ending of MA 20, which is more of an epilogue to the event. Ultimately, you can read this and Mighty in any order without one seriously spoiling the other. I feel the better read is Mighty first, since it’s tied more closely to the central thrust of the event itself. 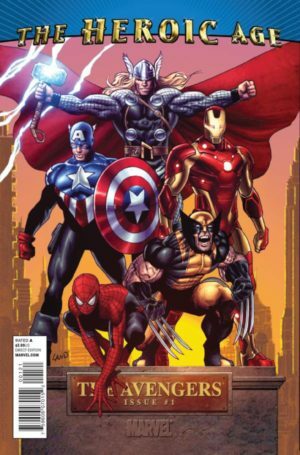 Coming out of Secret Invasion a new title is added into the mix – Dark Avengers. 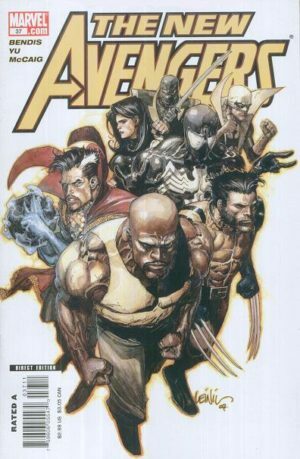 Bendis departs Mighty Avengers to write Dark Avengers, with Dan Slott taking over Mighty through the finale. Why? The one-shot “Featuring Reptil” occurs prior to #20. Issues through #24 occur before Dark Avengers #1 gets entirely underway and are relatively self-contained aside from a stray Osborn flashback, which makes this the first post-SI book to read. Issue #25 occurs during DA 4 and after War Machine #8, but aside from hinting a bit at the Dark Avengers and including Karla Sofen in her new role, it doesn’t spoil much. I don’t think it’s worth breaking it away from this arc to save it for later. Why? Issues #48-50 take place at the same time as DA 1-2, but part of the shock of it is the NA team reacting like, “Who the hell are these people?” I think you have to read it before DA 1-2 or else that’s a bit spoiled. Why? This isn’t written by Bendis, but it extends one of the hugest plot points from the end of Secret Invasion! This occurs almost directly after NA 50 for Mockingbird. The pair of them are next in War Machine #8, which is during Dark Avengers #5, so it makes sense that this action is occurring during DA 3-4. Why? After the concurrent DA 1-2 with NA 49-50, DA 3-4 is the next sequential thing that happens for Osborn before he does anything else. However, the end of 5 and all of 6 occur much later, so might lightly spoil some Osborne-related developments in other books. If you really want to hold out on the reveal of what’s happening with the DA until the last possible moment, read it later. Why? At this point Mighty Avengers becomes a slightly more tertiary Avengers book, since Bendis is no longer writing it. This begins after DA 4 (Sentry is in 21 after a flashback in DA 5), but #24 happens before DA 6. Why? NA 54 occurs before DA 6. Optional other placement of DA v1, since DA6 is Osborn’s next sequential appearance after NA 54. Why? The team sticks together without a lot of side appearances in this arc. MA 28 is Loki’s next appearance after DA 6; MA 30 occurs prior to Utopia (for some characters, it’s their next appearance. Why? Note that this is NOT collected with any DA collection aside from Utopia. This happens all in one big burst. Why? Though some of the early action in this arc falls before Mighty Avengers #30, Osborn is in #28-29 after DA #12. Since this is the least spoilable title in the Avengers stack (because nothing here gets referenced elsewhere), it’s safest to read it last compared to other simultaneous stories. Why? After a brief sideline in Avengers: Initiative #28-29 & 31, Osborne is next in all but 55. Technically, DA Annual 1 fits here and probably should have been in Vol. 2, but it’s in Vol. 3. Boo. 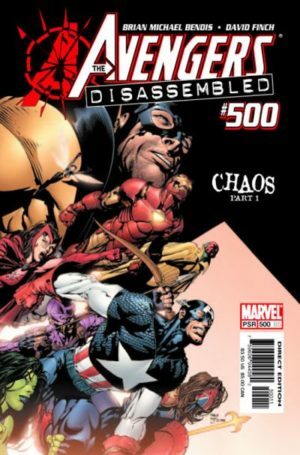 All of the Avengers titles crash into a single event – Siege – which was written by Bendis. The 4-issue event series itself is quick and focuses mostly on the biggest plot developments with very few character beats for Avengers – it’s more concerned with resolving plots from Thor. That means it’s critical to follow whatever Avengers titles you’ve read up to this point into Siege to understand how they resolve before the next Era. Why? No one heads to Siege stuff (which includes NA 61) until after #14, and all of #15 occurs before Siege #1. If you must, hold onto #16 to avoid major Siege spoilers – it literally says in the recap page “Read Siege #4 Before You Read This Issue.” In fact, it is the last thing in this era except for New Avengers: Finale. Why? These issues intercut heavily to the battle in Siege and will make the most sense if read directly afterward. Why? Here’s the thing: this barely spoils Siege at all despite #63-64 being simultaneous to Siege #3-4 and showing many scenes from the battle. However, I’d err on reading it last because #63-64 has a lot of “flashback to prior to Siege intermingled with Siege” stuff, and I tend to enjoy those kinds of moments more after I’ve read the event they tie-in to and have the full context. If you decided to hold on to any of the spoiler issues, now would be the time to flip back and forth between the closing pages of Siege #4, MA #36, NA Finale, and DA #16. Why? This is effectively the “reunification” story of Captain America, Iron Man, and Thor, and it occurs in the direct aftermath of Siege. However, you ought to read it after New Avengers Finale. Why? This really occurs prior to Finale, but there’s nothing about it that materially changes your read of Finale (or that Finale spoils), so you can read it here. After Siege, the entire Avengers line is re-shuffled. 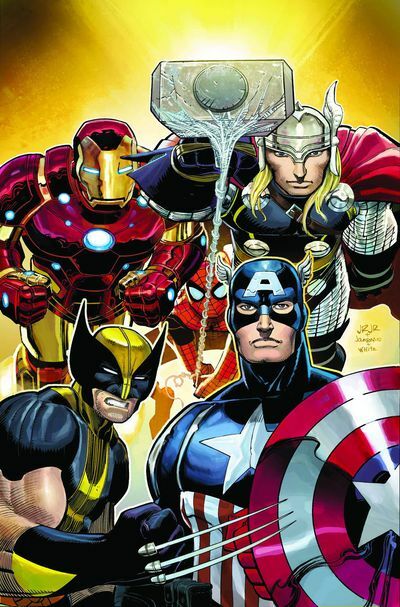 Avengers retakes the role of flagship book from New Avengers, which transforms to more of a street-level squad. Both are written by Bendis. Avengers Academy launches a new cast of (mostly new) Avengers in training. And, Secret Avengers finds Steve Rogers assembling unlikely squads of current and former Avengers to take care of special missions. Why? A few scenes of NA #1 occur prior to this, but otherwise the story fits best here. Why? My position is that Secret Avengers is non-optional because it features so many core Avengers characters and is the team lead by Steve Rogers. However, in the scope of following the spine of Bendis’s Avengers story, it’s not required reading. Really, New Avengers #7 fits here. Why? Some of the action in #1-2 occurs earlier than New Avengers, but the rest of the issues follow NA 7. Why? NA #7-8 precede this placement, but otherwise it happens all at once. Why? Despite #7-8 happening earlier, the majority of this book occurs after Secret Avengers. Optional: Avengers Academy #7-13 – Vol. 2: Will We Use This in the Real World? Why? While you can read #7-8 directly following #6 with no gap, the rest of this book takes place after New Avengers. Why? This directly follows #12, so you could read it in place before #13 in the prior volume. Why? This story is slightly on the sidelines of Avengers, but it also reintroduces Scarlet Witch into the mix to resolve the remaining plot threads from Disassembled and House of M, which leads directly into Avengers vs. X-Men. Skip the finale four pages of #12, which detail story beats occurring during and after Fear Itself. New Avengers Annual 1 and Avengers Annual 1 weren’t reprinted until later, but they fit here. Could read Avengers Academy #14.1 & 14-16 here. These issues cross over directly with each other. This gets into some of the aftermath of Fear Itself, so I feel it’s better read after the Avengers story, even though it’s actually interspersed throughout. Why? You can safely read all of Avengers, new Avengers, and Secret Avengers and only spoil this through #4 EXCEPT that Avengers #13 and New Avengers #14 contain flashback elements that occur after the end of Fear Itself. However, those books were released before Fear Itself was over, so they don’t actually include spoilers. Why? This book heads into the aftermath of Fear itself, so despite its earliest issues coming before the other material, I think it’s best to read it last. Secret Avengers 21.1 fits best here. This happens all at once between Academy and the following Avengers arc. Why? This is the last major Avengers story prior to AvX, largely due to Hulk’s appearance as a team member here. Congratulations, you’ve reached the mess that is Avengers vs. X-Men! No matter how you read it, your chosen order is going to spoil some stuff. The best way to handle it is to break AvX into its three act chunks and distribute them between the Avengers books. Contrary to my typical position that it’s better to first read a main event and then read the supporting stories, enough of the big beats in AvX are legitimate shockers that aren’t explicitly spoiled elsewhere that in some cases I think you can save them for later in the read order. Why? This occurs after AvX #2 but entirely during Act I. Stop reading with #28, which is the end of the AvX tie-in – you can begin the next era with #29. Why? This is during Act I through #27, and the later issues do not spoil AvX significantly (even #30, which occurs during #12). Why? This happens in its entirety in Act I and the initial moments of Act II. If you read it prior to Act II it offers only the slightest of spoilers, and if you read it afterwards it will seem hopelessly dull. Why? This is the trickiest volume, because it spans the most of the action in AvX. 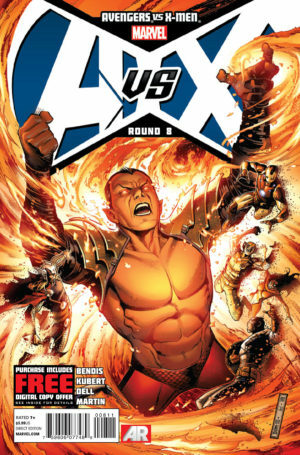 I personally enjoy it prior to AvX #6, but it will significantly spoil elements of #8, which are a pretty big shock. You can read it here and simply save #30 for later. Read Avengers #30 and New Avengers #30, if you skipped them earlier. 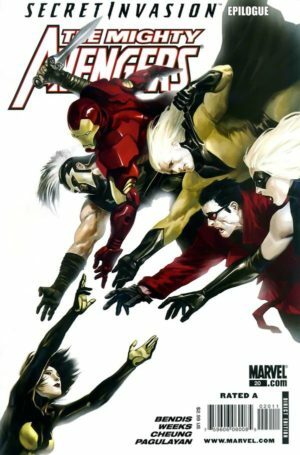 While much of the Marvel Universe leaps directly to Marvel Now after Avengers vs. X-Men, each of the four main Avengers books had one arc of denouement for their respective writers to wind down their stories before Jonathan Hickman’s Avengers got underway. Elements of Captain Marvel #1 occur here, which explains some subsequent appearances from Carol as Captain Marvel rather than Ms. Marvel. Why? Really, you can start with #29, as it’s a straight shot from there to #37. This is a big story with major implications for a few Avengers. Why? Most of this material follows AvX most directly, although #38-39 happy after the remainder of Secret Avengers. 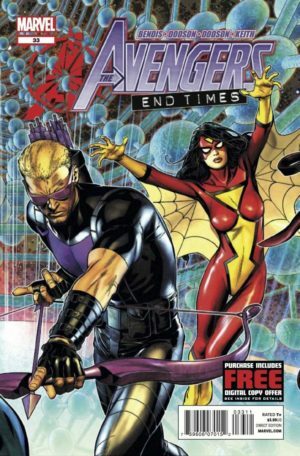 Because this is happening more or less on the sidelines of the Avengers continuity, I’d read it after Secret Avengers. Why? Issues #31-34 directly follow the end of Avengers Academy. Why? This is the end of the Bendis era – no further Avengers stories happen after these issues.